Well, it’s been a long time since I have written a post. Here is why! In March we welcomed baby #2 into our family. Little Eva has already stolen our hearts. She came into this world at 1pm on a Saturday – giving Dad a full weekend to enjoy her before he had to go back to work. Thank you Eva! Life with a 2 year-old and 2 month-old is quite a whirl wind of exhaustion, patience-testing, and joy….all at the same time. The first month was particularly challenging as I faced those days and nights that feel like they will never end. I called my brother and sister crying, begging for some magical secret on how to get my newborn to sleep. I was T-I-R-E-D! As for the 2 year old. Well….. we have seen better days. He is definitely beginning to show the signs of jealousy that he has to share his mom and dad with this new little person. Outwardly, he couldn’t be sweeter with Eva. He wants to hug and kiss her every chance he gets. Inwardly, though, he is obviously struggling because his behaviors have really turned very challenging. It feels like he is pushing every boundary that is set – again and again and again x 2,000. Trying to use all my Positive Discipline tools while exhausted from sleep deprivation is not always pretty. I must admit, I have had my most challenging moments in parenting yet. I have said things I am NOT proud of, and disciplined WITHOUT kindness. 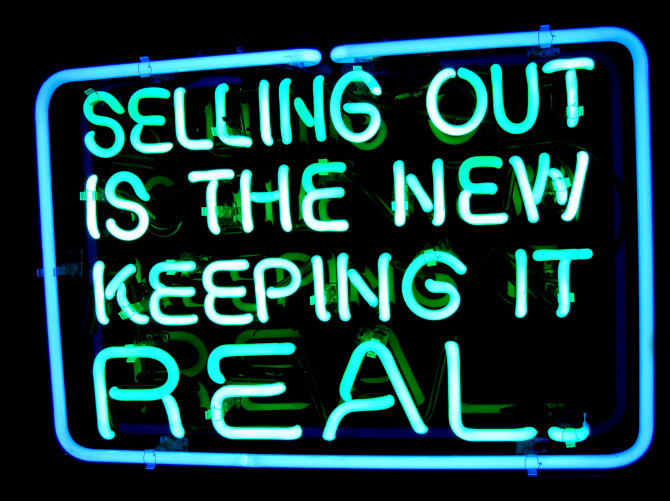 Have you sold out if your child goes to pre-school? Ladies and gentleman, the day has come that I am reaching out for some regular help with my little man (now 1 1/2). I always knew I would consider pre-school at SOME point for Chunky Monkey. But, I wasn’t sure when. I guess in my mind I thought it would likely be around age 3 1/2 or 4. But then, life never goes quite as you had imagined, does it? It SURE hasn’t for me. 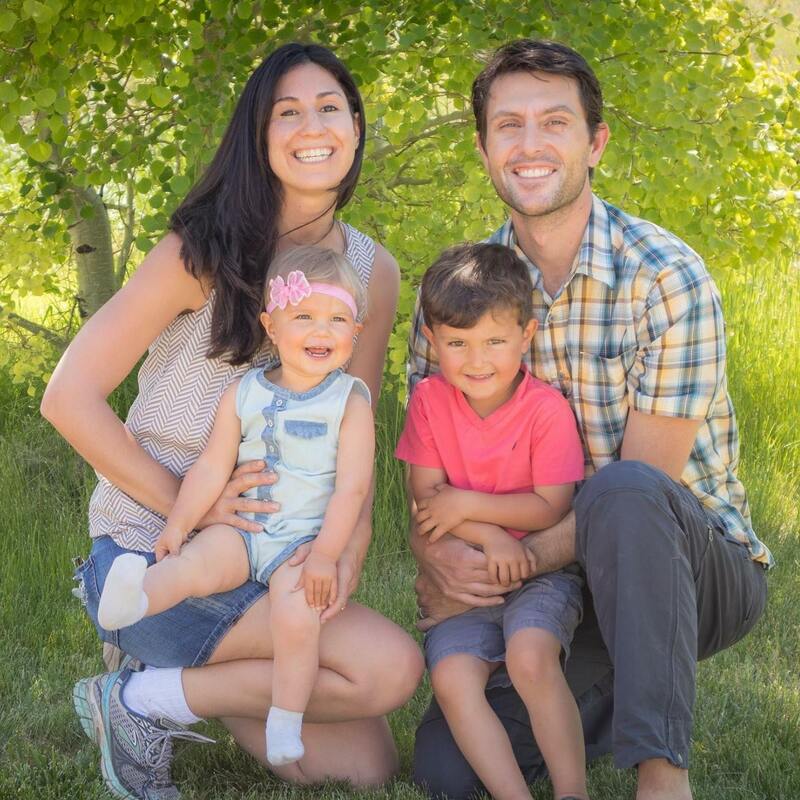 I learned through a friend about a Montessori teacher in Bozeman who wants to open a small 5-child pre-school specifically for kids around 2. It’s 3 hours in the morning for 3 days a week. It just seems too good to pass up. He will have some great time to learn and socialize, while I will have time to…. Well, I’m not sure exactly what I will do. But I have no doubt I will find a way to fill the time. Hopefully it will mean I can blog post more often! Maybe I can take a yoga class to help my achy back that gets all outta wack from holding this 28 lb kid! Also, I hope to put the word out more in my community to teach some more parenting workshops. There is a part of me that wonders if I am selling out on being “Just” a SAHM. But I am also trying to stay flexible in my expectations and not do anything just because I think I “should” (a constant battle as a SAHM). If you have done something similar, drop a line to share your thoughts. It’s great to share in this journey with others. I spent a lot of time struggling with my identity. I never thought I fit the role, but of course, looking around, no one does! Every mom I know is doing amazing and interesting things, we’re just doing it in bits and pieces interwoven with our daily lives instead of having any separation between what we do and who we are. 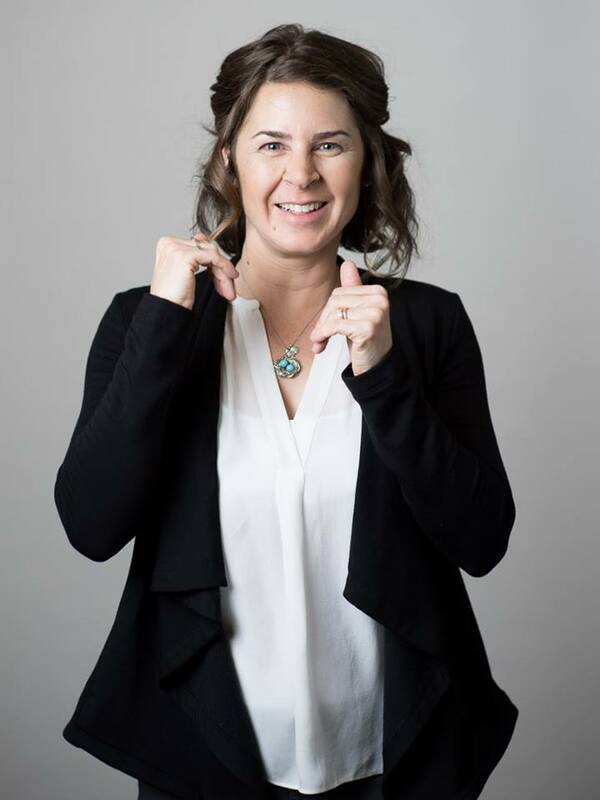 I’m so excited to introduce you to an mentor of mine, Kerry! She has been a SAHM for 11 years and shares with us some lessons learned along the way. As a new SAHM, I LOVE to glean advice from those further down the path. 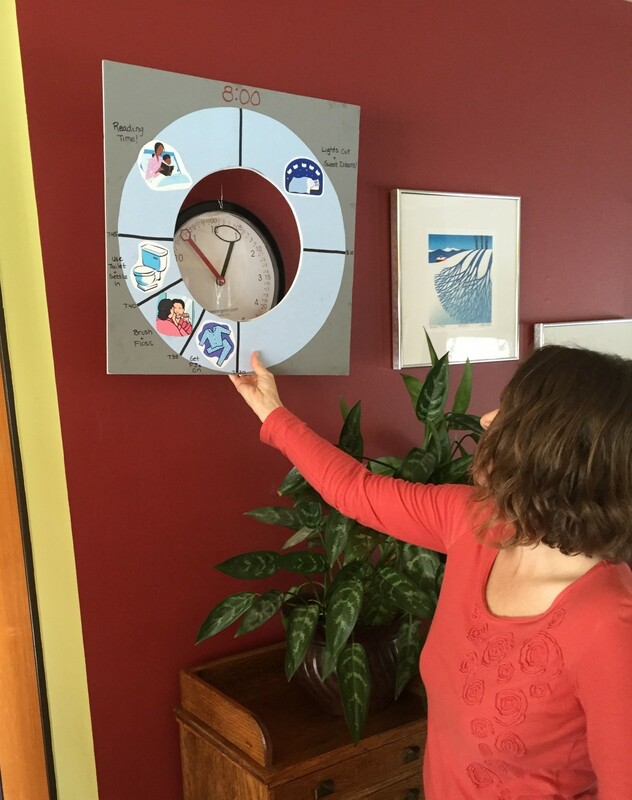 As a side note, Kerry shared this super awesome reversible chart that hangs around her clock, to improve their morning and bedtime routines. This invention of hers has totally taken the hassle out of most mornings/bedtimes. So genies, don’t you think?! I’ll share more about that this weekend:-). Now…to meet Kerry! Q) What was your career before becoming a full-time parent, and tell us a bit about your family. A) I was working at the Early Childhood Project, a statewide organization that supports the career development of child care workers and preschool teachers. I gave workshops and collected data on early childhood professionals, basically teaching the teacher. I had just finished coordinating the state Early Learning Guidelines (what children ages 3-5 need to know, understand, and be able to do) and had introduced them around the state hugely pregnant with my first child. I now have two children, both boys, who are 11 and 7 years old. My husband owns his own manufacturing business, and we have lived in Bozeman since 1996. I don’t think I would have reached the profound emotional connection with the world around me without them. I like how they have stretched me and changed me. Q) What do you miss most about life before kids? & What are some of your favorite things about life with kids. A) The thing I miss most about life before kids is being able to do things in the manner and order that I would prefer. There’s no more waiting around for inspiration to tackle a project – it either needs to get done or it doesn’t. I can’t feel my way through my days, I now plow through them. My favorite thing about having kids is that life is infused with a depth and meaning it didn’t have before. I think I could have been happy without kids, but I don’t think I would have reached the profound emotional connection with the world around me without them. I like how they have stretched me and changed me. Every mom I know is doing amazing and interesting things, we’re just doing it in bits and pieces interwoven with our daily lives instead of having any separation between what we do and who we are. Q) What’s the hardest part about being a SAHM (stay-at-Home Mom)? A) It used to be accepting the fact that I WAS a SAHM. I spent a lot of time struggling with my identity. I never thought I fit the role, but of course, looking around, no one does! Every mom I know is doing amazing and interesting things, we’re just doing it in bits and pieces interwoven with our daily lives instead of having any separation between what we do and who we are. I am much more content with the idea of expressing myself in the world in a variety of ways and not getting compensated for it. Now the hardest part for me is feeling locked into all the ways I’ve made myself indispensable around the house. With my boys growing up, I need to consciously start divvying up responsibilities a lot more evenly, and allowing myself time to cultivate my own interests. It was more than a year of sleepless nights and non-stop days, and there were so many times I envied my husband who got to leave the house to work for those 8 hours every day. Q) Have you ever thought, “Gosh, I can’t do this?” and why? A) Yes, absolutely! When my first child was only a few months old, he was diagnosed with severe food sensitivities, and then, probably partly because of his discomfort, he developed very difficult sleep patterns. I remember leaving a coffee shop crying when a friend of a friend told her “It’s been more than four months, he really should be sleeping through the night by now” and mine was a couple of months older than him! It was more than a year of sleepless nights and non-stop days, and there were so many times I envied my husband who got to leave the house to work for those 8 hours every day. I really had a breakdown when my oldest turned 5 and my youngest was still a toddler. With one heading off to kindergarten, I felt that my role as mom was losing some of its importance, and yet I still saw no end in sight to the diapers and naps and tantrums ahead of me. I couldn’t find anything to celebrate about this transition and it hit me hard. Q) How do you get through the tough moments/days? What helps you the most? A) It was so hard when the kids were very young, because it seems like you’re living just one long, unending day, but now I do have the luxury of promising myself that tomorrow will be better. I am also much better about asking for help than I was before, and lowering my standards when it’s obvious that nothing’s going to go right on any particular day. Ordering in doesn’t feel like the failure I used to make it out to be. In general, I am much more forgiving of myself. Q) What advice would you give to a new ex-career mom regarding how to most enjoy (or get the most out of) being a SAHM? A) Don’t try to get everything “right” because there is no such thing. Listen to your inner voice and approach your life as a whole person, knowing that when you show up as your whole self your children will benefit, even if that means you need to get out and do something for yourself, or volunteer/do work for others, in order to feel like yourself. Your kids don’t need a perfect parent, and they don’t need your physical presence as much as they need YOU to be fully there when you’re there. And understand that you will change and grow just like your kids, so don’t just grab for anything, allow yourself time and space to find what makes you hum! To hear more from Kerry, check out her recent TedTalk from Tedx Bozeman! Go to this link: TEDx Bozeman 2015 on Livestream & Scroll to 4:06:45. You’ll be glad you did! Well, I have a confession to make. Yep. I am officially a floor bed dropout. I learned about using a floored from Montessori, and believed in the theories behind it. 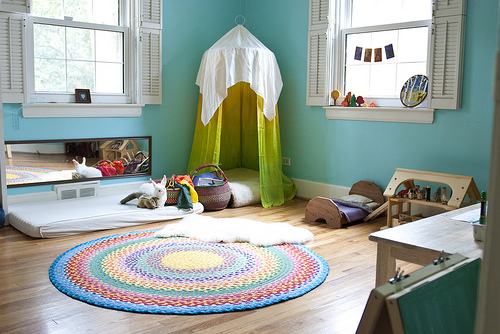 Here is what a Montessori-inspired bedroom, with a floor bed, looks like. Super adorable! 1. Have your toddler sleep on a bed that is just a mattress on the floor, with no crib. 2. This is supposed to help the child to be able to mentally map out their environment more easily and develop independence as they should be able to get up on their own in the morning and play with toys for a while, rather than banging or yelling for parents. 3. This is supposed to help a child learn boundaries in a more internalized form (ie. stay on the bed because they know that is where they will sleep best, not because they are trapped there). Well…like I said, in theory this is fantastic. In reality, however, it was totally not working. My 16 month-old would fall off the bed in the middle of the night and scream until I came in and put him back on the bed. *Side note: This is strongly influenced by the fact that our child has been slow with large motor development and though he can walk already, he still can’t climb or crawl at all. So, he really couldn’t get back on the bed when he wiggled off of it. And, he recently started to be impossible to put down for an afternoon nap because he would push up onto his hands and roll off (to protest the nap), but still not be able to get back on the bed. That lead to 1/2 hour or longer struggles to try to get him sleepy enough to stay on the bed. Argh! Exhausting. So…yeah. 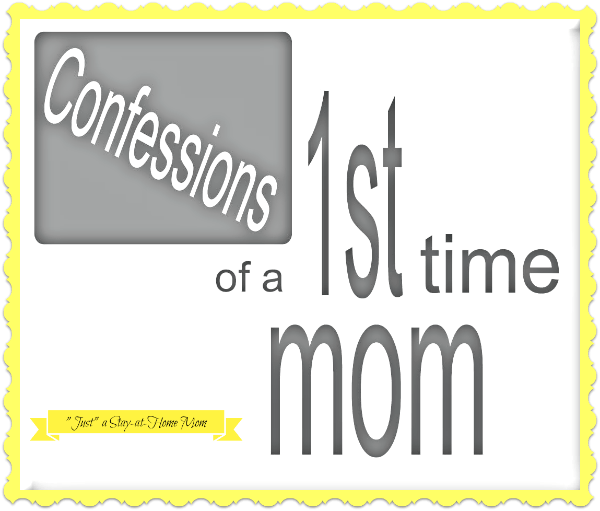 My 1st-time mom confession of the week is that I’m a floor bed drop out. Sorry Montessori! I love you, but I just couldn’t do this one. The crib’s back up. Do you ever see other moms at the grocery store or at the library and think, “Am I the only mom that seems to have no clue what I’m doing”? The latest source of this self-talk for me has been gosh darn toddler clothing! Those things have me baffled. I seriously feel like I’m back in jr high where I certainly had no clue how to dress myself. Side note: I was a major late bloomer in the style department. I got a gift of a cute purse post college from some friends with a small note attached that said, “We see you are still using a backpack”. Anyway, enough about that. Back to my point. So, I look around at the other kids in public places and think, “My kid is the shabbiest one here. And why don’t I know how to have proper shoes for him?” I have been using some hand-me-down mocasins, but everywhere I go I seem to see children younger than my son wearing supper grown-up looking shoes. Did I miss something here? When was I supposed to know to buy shoes for a person that mostly walks around our living room all day. Do you really need shoes for that (and the occasional short stroll around the library). Am I the only mom in this world that didn’t get the memo that you are supposed to have shoes for toddlers that barely walk? Seriously, I need some help on this one. For now, I still feel utterly baffled by this situation and pretty much have decided to just keep having my kid use socks or moccasins until he’s walking everywhere. But then again, maybe I just have no idea what I’m doing. Today I threw poop at the wall! Oh boy. Today was…funny. I was getting my son into the bath and quickly took off his diaper while he was standing. I had changed him so recently I just assumed there wasn’t anything in there. I bundled the diaper in a heap and left it on the ground. When bath time was done, I picked up the diaper and swung my arm as I walked out of the room. Just then, the edge of the diaper (that had been folded over), swung open and I hear a “thud” against the wall. Yep! To my horror, I looked at the wall I had just passed and saw a giant brown spot and a turd lying on the bathroom floor. Can you relate? I’d love to hear some fellow cringe-worthy moments.